After scoring two goals against Everton on Sunday, Son Heung-min of Tottenham Hotspur took to the pitch against Bournemouth on Wednesday and added two more goals to his tally. Tottenham Hotspur thrashed Bournemouth 5-nil, giving him his ninth and 10th goals of the season, the fastest he has reached double digits in his four seasons in the English Premier League. 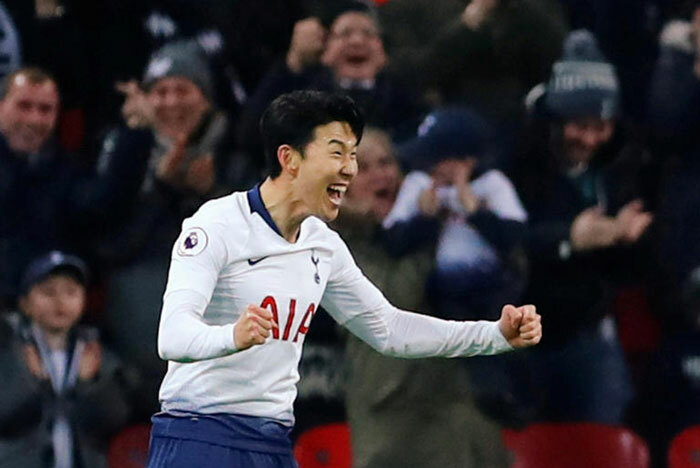 Despite scoring only three goals up until November, Son's sizzling December has seen him score seven goals, including six in the EPL. Spurs are on a five-match winning streak and have been victorious in 12 of their last 14 matches. With Leicester City upsetting Manchester City on Wednesday, Tottenham have leapfrogged into second place in the league rankings.